EL VENDAJE NEUROMUSCULAR ES UN MÉTODO NO INVASIVO Y NO FARMACOLÓGICO QUE, A TRAVÉS DE LA APLICACIÓN DE CINTA ELÁSTICA ADHESIVA CON PROPIEDADES ELÁSTICAS Y MECÁNICAS, OFRECE UN ESTÍMULO CAPAZ DE CREAR ESPACIO EN LOS TEJIDOS. ESTE ESPACIO PROMUEVE EL METABOLISMO CELULAR, ACTIVA LOS MECANISMOS NATURALES DE CICATRIZACIÓN DEL CUERPO Y NORMALIZA LA PROPRIOCEPCIÓN NEUROMUSCULAR. EL TEXTO PRESENTA LOS TIPOS DE APLICACIONES Y BENEFICIOS DEL VENDAJE NEUROMUSCULAR, EN PARTICULAR DEL VENDAJE LINFÁTICO, PARA MEJORAR EL DRENAJE POST-QUIRÚRGICO Y POST-TRAUMÁTICO. UNA PARTE TEÓRICA DETALLADA SOBRE EL SISTEMA LINFÁTICO Y CIRCULATORIO ENRIQUECE LA PARTE PRÁCTICA. MÁS DE 90 FICHAS DE CONTENIDO PRÁCTICO EXPLICAN DE MANERA ANALÍTICA Y DETALLADA, GRACIAS AL USO DE NUMEROSAS IMÁGENES, LA CORRECTA APLICACIÓN DEL VENDAJE NEUROMUSCULAR DESCOMPRESIVO-LINFÁTICO EN VARIAS PARTES DEL CUERPO. UN CONSIDERABLE ESPACIO ESTÁ DEDICADO A LA TÉCNICA DE APLICACÍON EN EDEMAS, HEMATOMAS Y CICATRICES, DIVIDIDO POR TIPOS Y CARACTERÍSTICAS. FICHAS ESPECÍFICAS TAMBIÉN ILUSTRAN LOS BENEFICIOS DE COMBINAR EL VENDAJE LINFÁTICO DE CONTENCIÓN CON EL VENDAJE NEUROMUSCULAR DESCOMPRESIVO. UNA COMPLETA DISCUSIÓN DE VARIOS CASOS CLÍNICOS CON EL VENDAJE DE DESCOMPRESIÓN NEUROMUSCULAR COMPLETA LA OBRA. MANUAL INDISPENSABLE PARA APRENDER LAS TÉCNICAS DE APLICACIÓN DE DESCOMPRESIÓN DEL VENDAJE NEUROMUSCULAR. NUMEROSAS FICHAS DE CONTENIDO PRÁCTICO SE COMPLEMENTAN CON UNA PARTE TEÓRICA DETALLADA SOBRE EL SISTEMA LINFÁTICO Y EL SISTEMA VASCULAR. 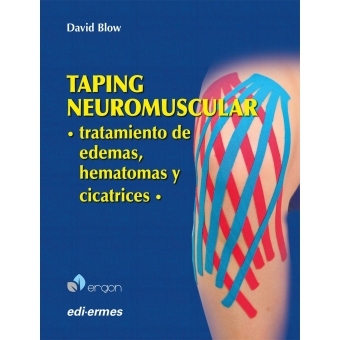 TEXTOS Y MÁS DE 1300 IMÁGENES EXPLICAN, DE MANERA ANALÍTICA Y SISTEMÁTICA, LA MODALIDAD Y LOS BENEFICIOS DEL VENDAJE NEUROMUSCULARE SOBRE DIVERSAS PARTES DEL CUERPO Y EN EL TRATAMIENTO DE EDEMAS, HEMATOMAS Y CICATRICES POSTQUIRÚRGICO Y POSTRAUMÁTICO. FICHAS ESPECÍFICAS SOBRE LA APLICACIÓN COMBINADA DE VENDAJE LINFATICO DI CONTENCIÓN Y VENDAJE NEUROMUSCULAR DESCOMPRESIVO ENRIQUECEN EL TRABAJO. VARIOS CASOS CLÍNICOS COMPLETAN LA DISCUSIÓN.